PHP is the most famous language in the programming world and also 70% of websites created by PHP language because it is also server-side language. 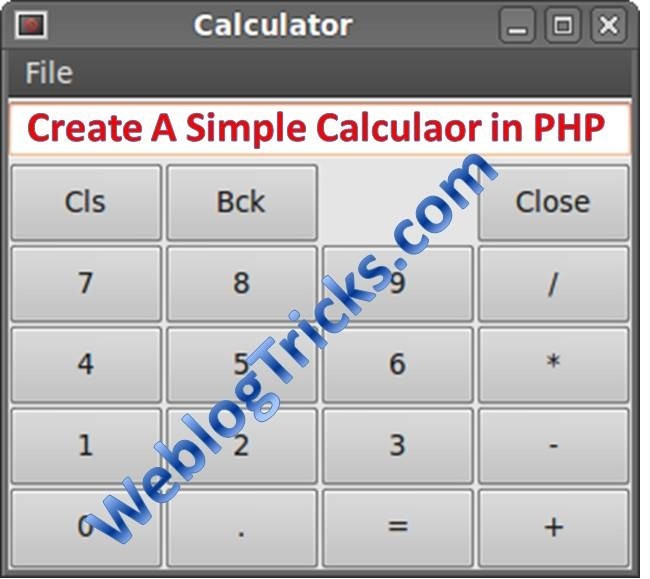 So today’s tutorial is about that how to create calculator program in PHP using switch case and Arithmetic operators in PHP. This is something you can easily do by practicing basic arithmetic operations in PHP because I write this post for those people that who are learning from basic. it is very simple code or you can say it is like Calculator Demo... you can also read the following Posts. 3. open in the browser simply. I also tell you about two methods of creating in which you can create a simple calculator with help of programming Code. so it is just by if and else condition with arithmetic operation. If you have any Question you can Ask me.